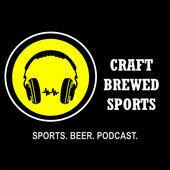 Craft Brewed Sports: Each week, hosts Scott and Mike talk about the latest sports news, talk trash to each other, and try a new craft beer. All the Books: Recommendations and discussions about the most interesting and exciting new book releases. Cincinnati Soccer Talk: A podcast devoted to Cincinnati's newest team, FC Cincinnati.